Shopping for Mickey Mouse Car Accessories? Take a ride with Mickey Mouse! This incredible seat cover features a multitude of Mickey faces. 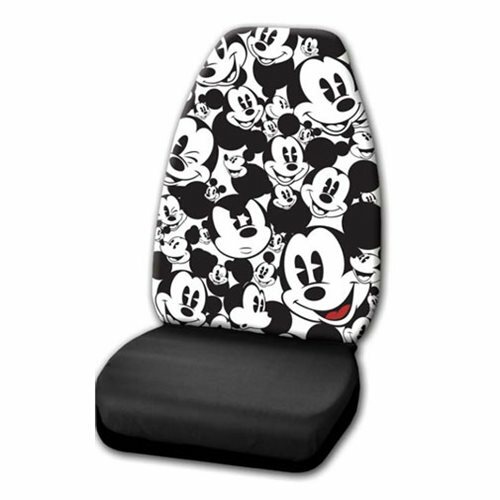 Made from 100% polyester with a urethane foam backing, the Mickey Mouse Expressions High Back Seat Cover is designed to fit most high-backed bucket seats. It comes with elastic straps and hooks for a snug and secure fit. Machine washable. Contains one single seat cover.